N has been having a lot of fun learning shapes for several weeks now. 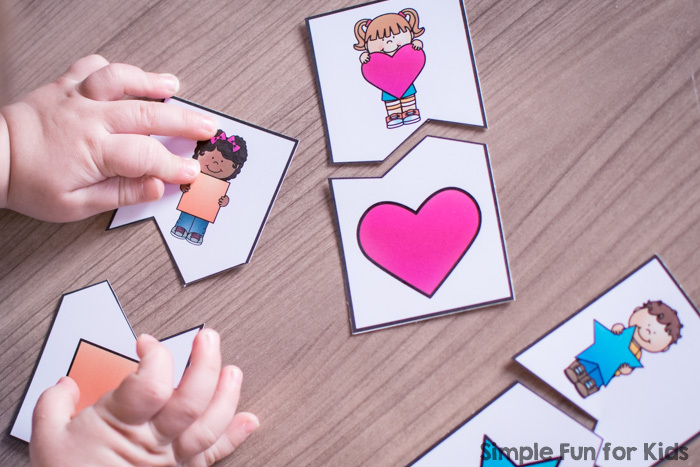 He loved the Shape Matching Clip Cards I shared recently, and today’s printable Shape Matching Puzzles for Toddlers were a big hit with him, too. 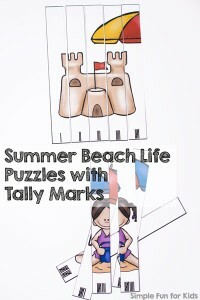 The pdf file includes two pages of six 2-piece shape matching puzzles each. 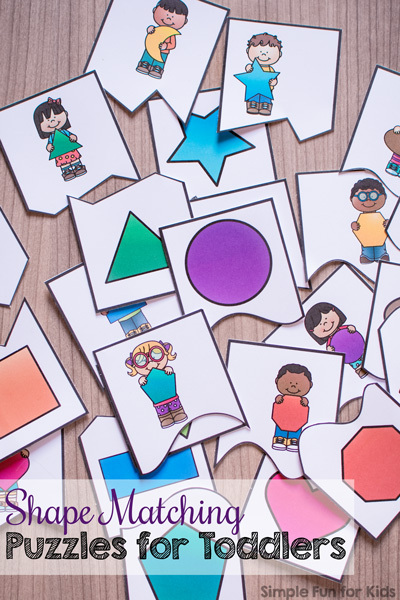 Each of the 12 puzzles shows a kid (there are six boys and six girls) holding one of the shapes that can be matched to an image of the shape alone. Each puzzle has a different line connecting the two pieces, making the puzzles self-correcting. I’ve included the following shapes: Blue rectangle, green triangle, yellow crescent, hot pink heart, light blue star, orange square, green diamond, brown oval, red octagon, purple circle, yellow hexagon, and turquoise pentagon. 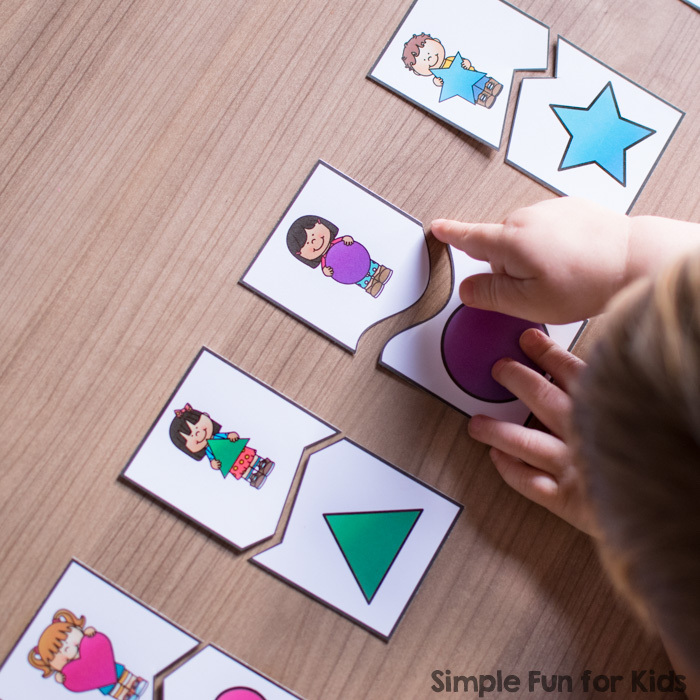 Beyond shapes, you can also work on/talk about colors with these simple puzzles! 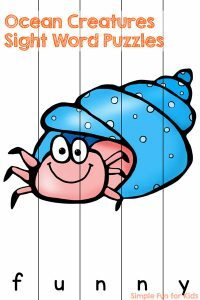 Download your Shape Matching Puzzles! My Shape Matching Clip Cards for Toddlers use the same set. 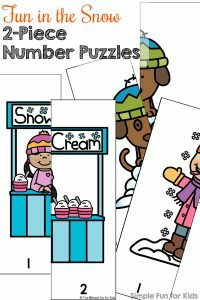 Are you looking for more printable puzzles? 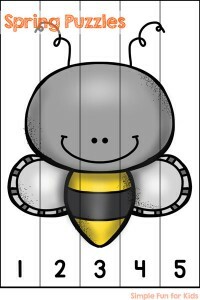 Here are a few others you’ll like! Hi Caroline, thanks for letting me know of the problem! I’ve fixed it now. You’re so very welcome! Thank you for taking the time to leave a comment! Great print out. Thank you so much.